I been meaning to make one of these threads for awhile since we have threads solely dedicated to the legends line as well as universe/infinite lines. Why not have one for Marvel Select?? please feel free to contribute any pics,info or anything about your selects. i've been cutting the side art from the boxes, i want to try using it to make a background for the rest of the selects. 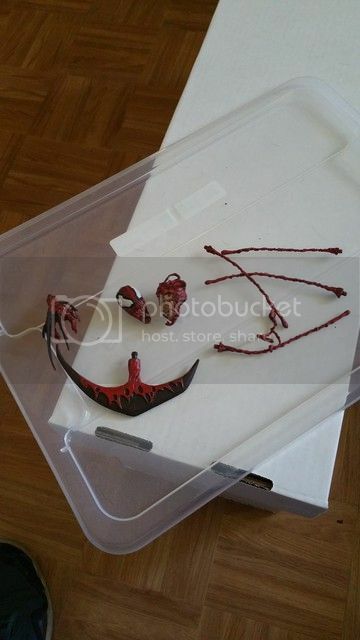 ^^Those are awesome. So far all I have is this gentleman and I just got it yesterday. 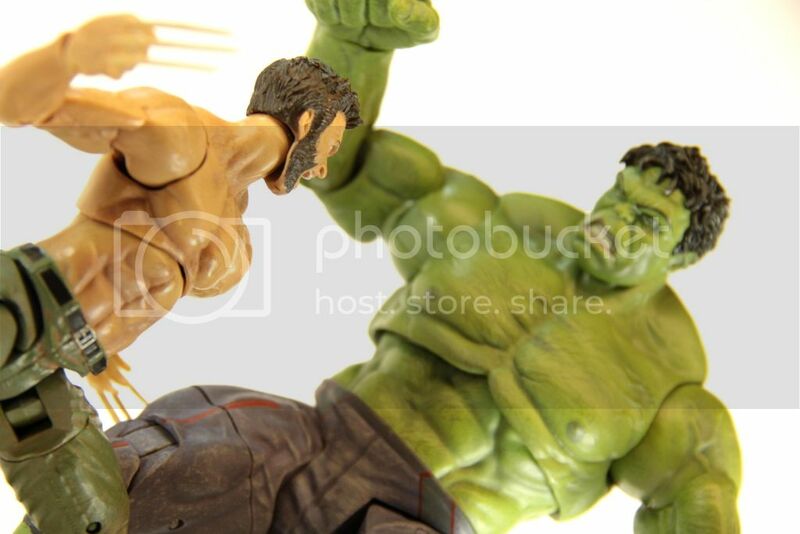 It came down to Thor and the Hulk you have on your shelf but Thor's my favorite Avenger. Plus the spinning Mjolnir behind him sold me. 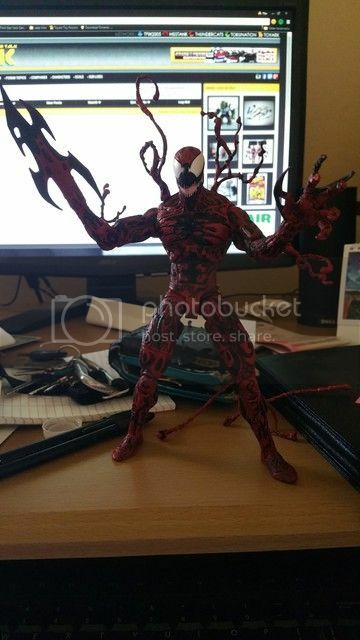 If I ever get a chance I definitely want to get that Carnage though. I'd also love to get Ghost Rider and that Venom they made a little while back (the one with all the little head attachments). these are some great quality figures, however i just tried putting him near the legends spider-man i have and he towers over them. next on the list for me might be that hulkbuster iron -man... not sure yet. i know the Doctor strange is coming out but im not to crazy about him. i've been eyeing for awhile a Abomination, but that's when i have some more cash to blow. I would recommend the recent release of 90's CABLE from X-force. If you don't mind the lack of arm articulation he would look great with your brown Wolverine ala the cover of New Mutants #93 and 94. I also think I might look into getting the new Hawkeye with pizza dog. I'm not a big fan of Cable, plus i recall all the comments on another forum about the strange crotch area on him that looks completely out of place. lol. 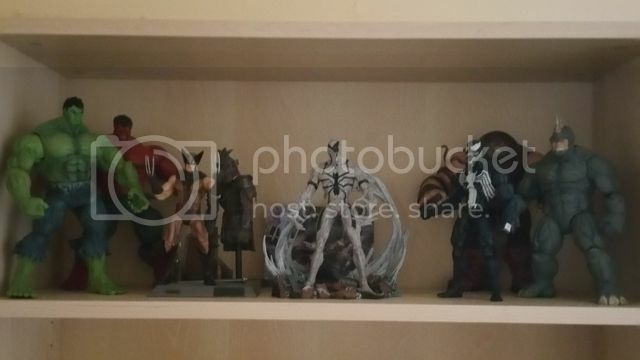 there's a lot of awesome figures out from MS and hopefully some other neat ones become released. i wish either select or even legends were to make a nice Joe Fixit grey hulk. the closest thing i have to one IMO is the grey hulk for the 90s Hulk toyline. however he wouldn't fit in scale with the green and red hulk. i might jump on a Ant-man figure as for AOU figures, im not really a big movie figure buff, but if black widow is made i might consider her as well that is if she looks good. I wouldn't mind picking up Ant-man. I do have my Hawkeye hanging with my Black Widow and they look pretty great, I'll take a pic when I can. i prefer the select appearance over the BAF figure that is currently available now. Agreed. I don't like the way they tend to take classic designs and just add a bunch of lines then declare it the character's new look. Classic works better, especially with Thanos. Also the legends one is a BAF so boo to that. also the extra hand with the infinity gaunlet and death as an extra is a nice touch as well. Too bad Death's human face mask bit is pretty ugly (mine looks kinda bad on the eyes) and useless, first off the skull is much more detailed and cool looking but then also in the comics whenever she has a human/not-skull face her hands match. 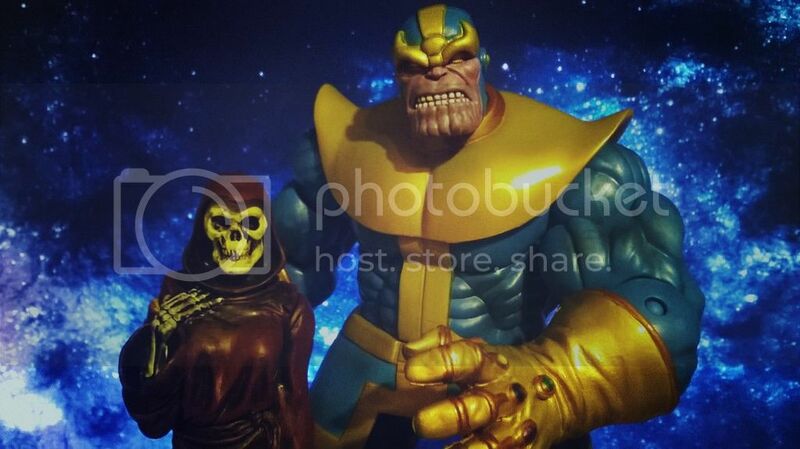 Regardless of the less than great human face she is a really cool prop-figure to display with big ol' purple-knuckle-chin. just went onto the Art asylum page or whatever it is where you can ask DST about new products and or give ideas. i asked how about making some oddball or different versions of popular characters. my list could go on and on. i realize their bread and butter is movie figures, but i mean they just announced another movie hulk.... how many movie hulks do we need? while Marvel select trumps hasbro legends figures with detail and size, hasbro and their legends trump marvel select with so many awesome and wanted characters that they're releasing this year. 1. 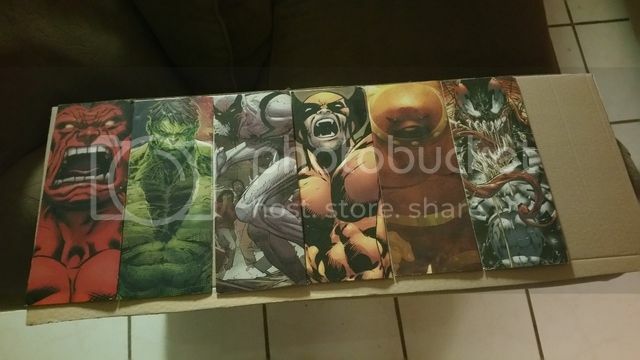 Has anyone ever seen the variant Juggy in person? 2. Does anyone know a way that I could see an image (created by someone other than me) of the unmasked Select Juggy head side-by-side with the TBML6 Juggy head? 3. Does anyone know of an unmasked Select Juggy I could acquire for a trade or a decent price? Loose is preferable and if it's just the head or a painted cast that's ok too. 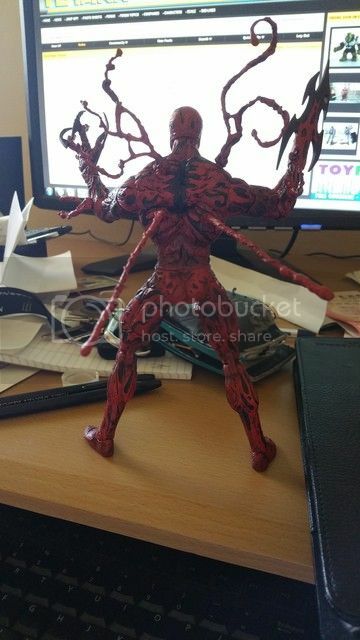 I think those are a tad harder to find, but there are online shops that sell those helmetless Juggernaut figures.. as far as finding one cheap or for a trade im honestly not certain anyone would give one of those up. i guess wait to see what others post. I see that they are extremely htf. That's why I posted the q. in the way that I did. I'd be happy just getting a nicely painted casting. I'm going to have my Select Jugs holding a Select helmet that I've removed the head from. First time poster. 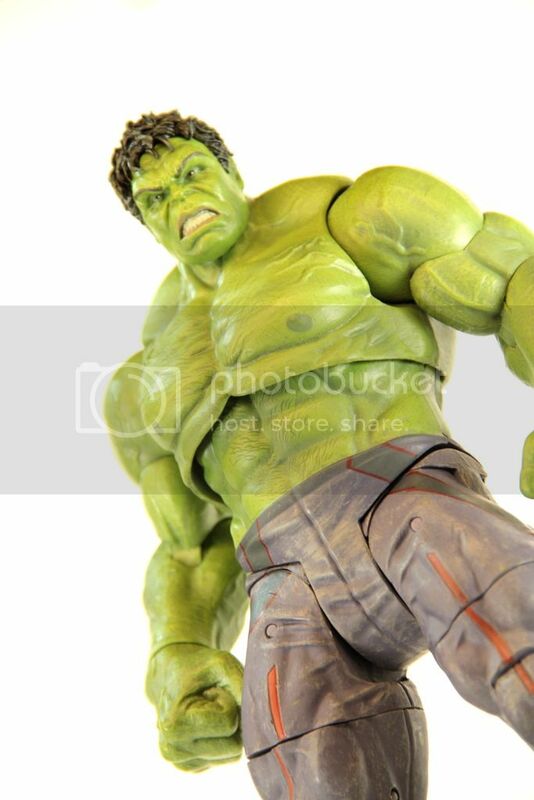 I am really liking this new Marvel Select Hulk. If anyone is interested I did a review. Welcome to the forums Captain Odious. I appreciate that. Thanks man.